The legendary Englishman joins fellow inductees Giacomo Agostini, John McGuinness, Valentino Rossi and the late, great John Surtees. 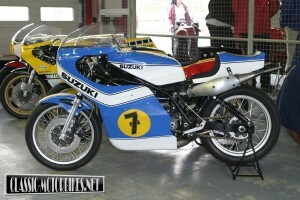 ‘Fast Freddie’ Spencer demonstrated Sheene’s 1976 500cc title-winning Suzuki on the Captain’s Drive, and later presented the award to Sheene’s sister Margaret Smart and his former engineer Martyn Ogborne. Stuart Graham and Charley Boorman were among the famous names present to see the incomparable Murray Walker – whose father Graham raced Norton, Rudge and Sunbeam motorcycles through the 1920 and 30s – be presented with the Inspiration Award by 1992 Formula 1 world champion Nigel Mansell. Walker remembered that his first visit to the Isle of Man TT was in 1925, and credited his father with providing his own inspiration and enthusiasm. The Henry Surtees Foundation was the event’s official charity partner, with baker-turned-racer Paul Hollywood enjoying an emotional outing on an ex-John Surtees 1960 MV Agusta. 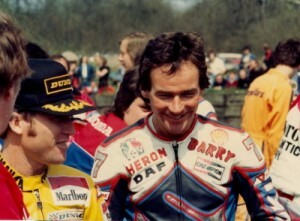 “John was so excited when I started racing, and became a mentor for me after I did the Racing Legends TV show with him. 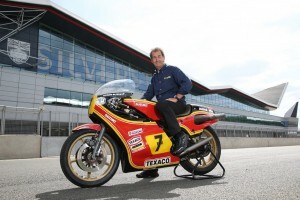 When I tested the ‘bike at Brands Hatch, my natural reaction was to pick up the phone and talk it through with him – and then it hit me again that I couldn’t.